Clairan, these large pieces are beautiful. I also very much enjoyed the Utube linked by Margaret. You spiked my curiosity with all the ‘strange stuff’ – I wonder now what it was! I was trying to be politically correct. It was weird sculptures. I found them neither beautiful, nor interesting. My husband felt similarly, and so did several other people in the gallery (yes, I was eavesdropping!). Also, I like to look at a teapot or two, but a hundred? Sorry, not my bag. There was a very good printmaker, the only non-ceramic on display. 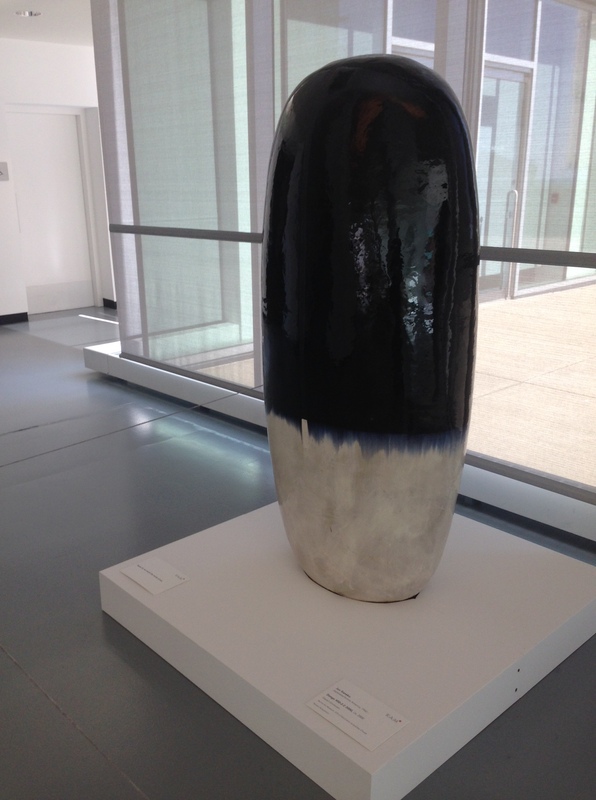 I will show you all what I liked at the Milwaukee Museum of Art in my next post. You won’t be disappointed, Virginia. Thanks for the Utube, Margaret. Fascinating. 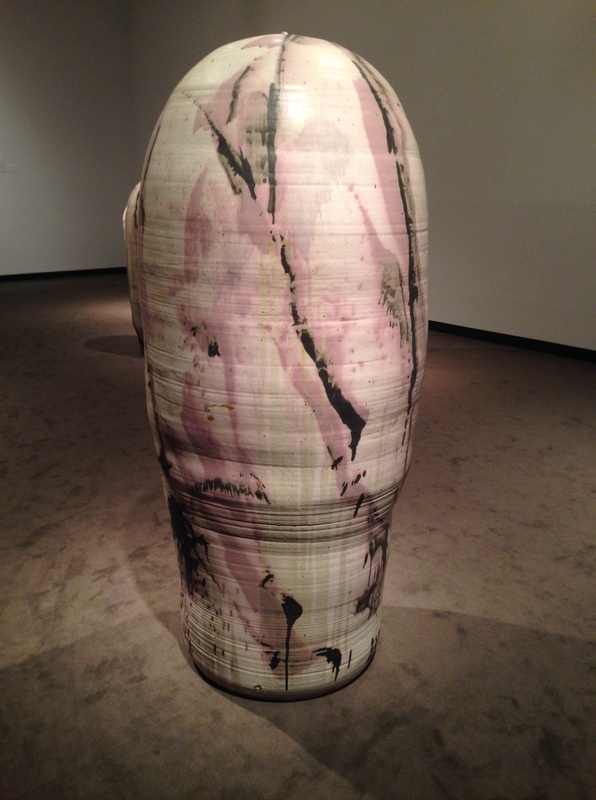 Thanks for the link to Toshiko Takaezu – what an interesting artist. 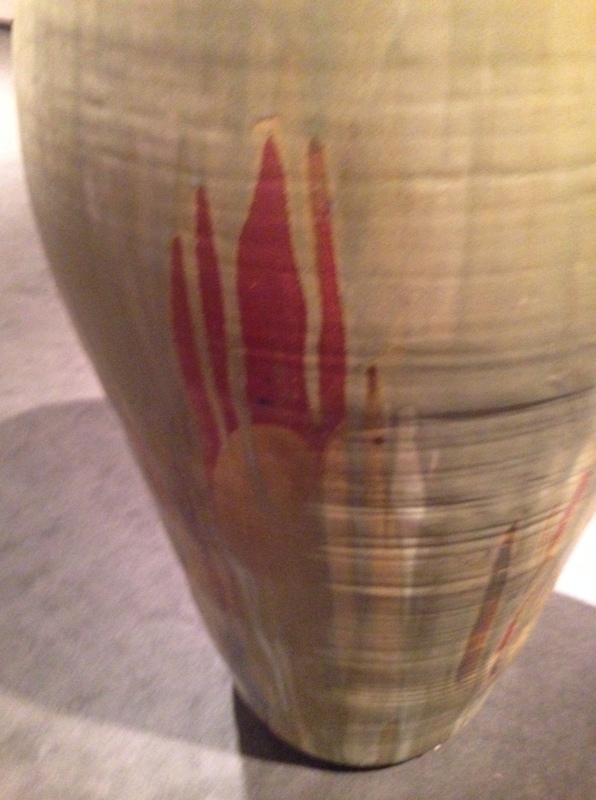 “Everything you do is collaboration” she says in a 1993 video (https://www.youtube.com/watch?v=SWFiDfb-W2M) – so I can’t help thinking that the idea of the glazes on her pots looking like hand dyed fabric would have appealed to her. 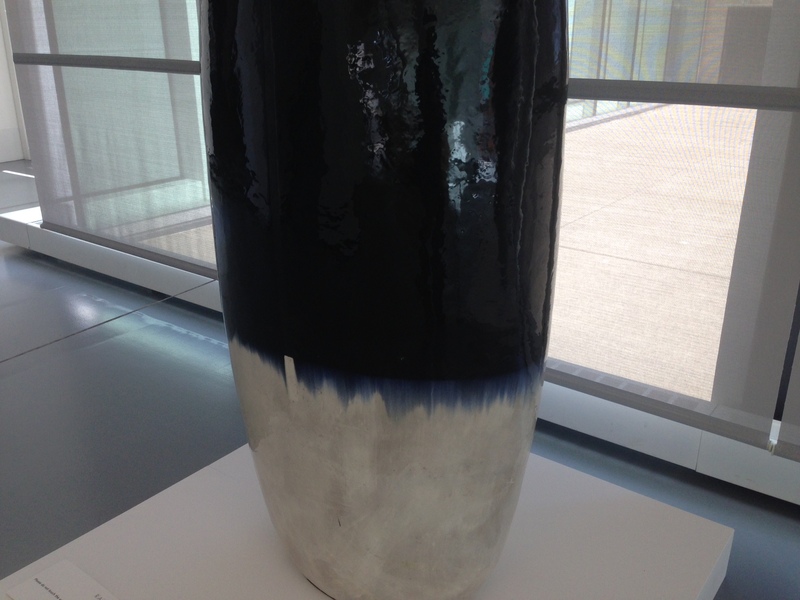 Jun Kaneko, he of the “dangos”, is a potter I found quite by chance, via a book in a secondhand bookshop. On my blog is an account of how he went back to Japan in the early 70s and documented the response to his exhibition (http://margaret-cooter.blogspot.co.uk/2007/11/this-book-was-sitting-quietly-in-oxfam.html). The invitations were written in white ink on white paper, crumpled into envelopes – so he knew that anyone who turned up had made quite an effort to get there! 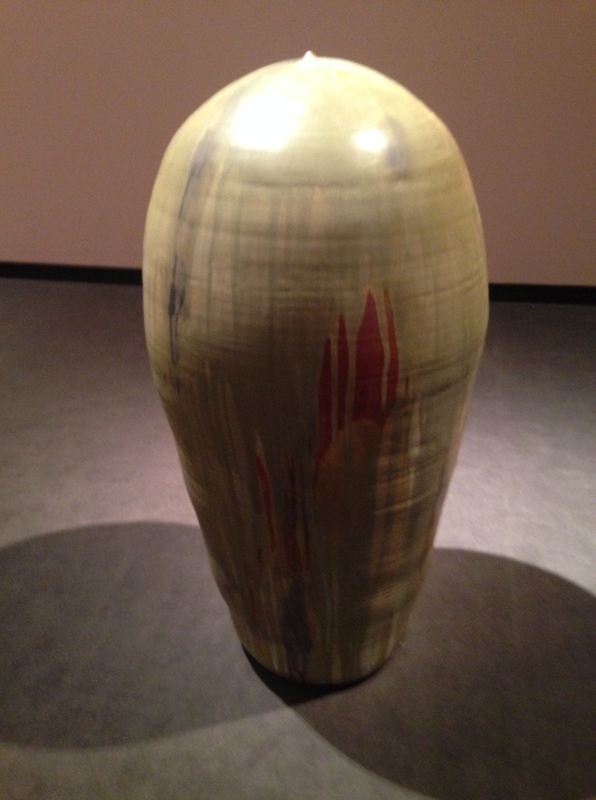 His pots are among the highest-priced pieces of ceramic in the world – or at least they were when the book was written. 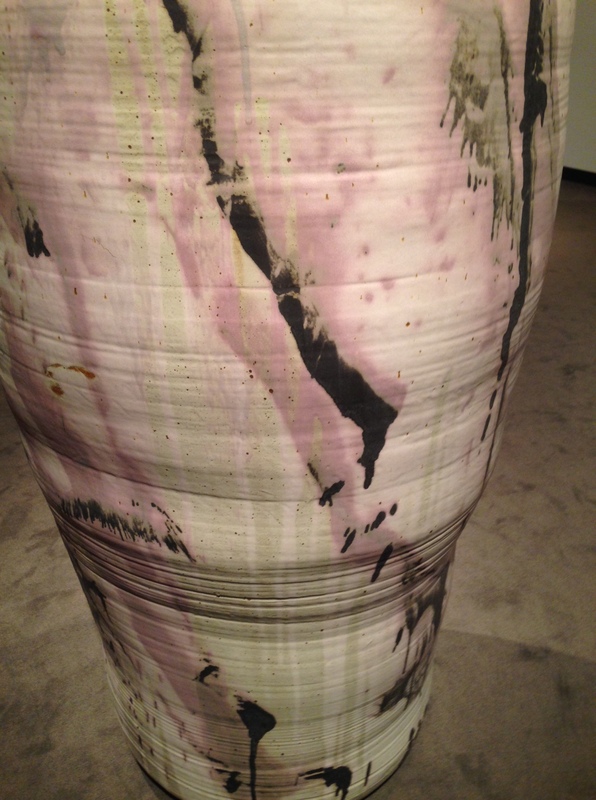 Ceramics and fabrics can have good conversations! Clairan, I’m putting Racine on my summer road trip list!